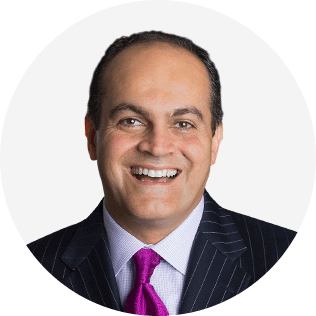 David Nour has spent the past two decades being a student of business relationships. In the process, he has developed Relationship Economics® – the art and science of becoming more intentional and strategic in the relationships one chooses to invest in. In a global economy that is becoming increasingly disconnected, The Nour Group, Inc. has worked with clients such as Hilton, ThyssenKrupp, Disney, KPMG and over 100 other marquee organizations in driving profitable growth through unique return on their strategic relationships. Nour has pioneered the phenomenon that relationships are the greatest off-balance sheet asset any organizations possess, large and small, public and private. He is the author of ten books translated in eight languages, including the best-selling Relationship Economics – Revised (Wiley), ConnectAbility (McGraw-Hill), The Entrepreneur’s Guide to Raising Capital (Praeger), Return on Impact (ASAE), and the newly release CO-CREATE: (St. Martin’s Press), an essential guide showing C-level leaders how to optimize relationships, create market gravity, and greatly increase revenue. For a coach to stand out from his/her competitive peers, he/she must create a recognizable brand of exceptional quality and value for the intended target audience. Today, this effort is dramatically enhanced through proactive digital campaigns. This session will delineate branding into the three phases of awareness, engagement, and future market gravity and share both proven practices as well as tools such as various social networks, private communities, video blogs, and simulcast mastermind group gatherings. 1. How to intentionally focus on the needs of your target coaching prospects. 2. Understand three unique phases to engage and influence coaching client thinking and call to action. 3. Capture best practices and understand appropriate tools to utilize in each of the above mentioned phases. Beyond any coach’s particular skills, knowledge, and behaviors, his/her portfolio of global relationships can often become their biggest asset in supporting coaching clients improve their conditions. For far too long, we’ve thought of relationships as a soft skill; it’s time to think of relationships as intentional, strategic, and thus quantifiable in both building, as well as sustaining and thriving a global coaching practice. In this session, the participants will be introduced to Relationship Economics® – the art & science of relationships and the Relationship Currency Roadmap™, a systematic, disciplined process to bridge relationship creation to relationship capitalization. 1. Understand the fundamental concepts in Relationship Economics, the art and science of relationships as it relates to creating global coaching impact. 2. Understand the Relationship Currency Roadmap in the application of a systematic, disciplined process in nurturing and sustaining business relationships. 3. Develop a personal plan to modify your strategic relationship development pathways.